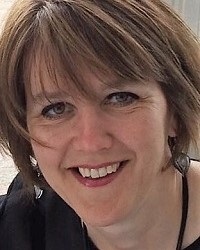 Meryl Halls, managing director of the Booksellers Association, said: "We see it as a step in the right direction and we are delighted that our substantial representations have been acted on by DG Connect (the Directorate responsible for Communications Networks, Content and Technology) and the Commission. "The new Rules, when approved, will benefit our members who use Amazon’s MarketPlace. Transparency will be improved; digital platforms will no longer be able to suspend or terminate a seller's account without clear reasons; and there will now be appeal possibilities for sellers. Most importantly, any Terms and Conditions imposed by Amazon on sellers must be easily available, provided in plain language and any changes given with at least 15 days’ prior notice. It’s also good to see that all platforms must set up an internal complaint-handling system to assist business users." Giles Clifton, the BA’s head of corporate affairs, added: "We are delighted to learn that Amazon will also have to disclose to sellers using the MarketPlace platform details of the data they collect, and how they use it - and in particular how such data is shared with other business partners. Moreover, Amazon will have to exhaustively disclose any advantage they may give to their own products over others. "The BA has lobbied hard on this subject, providing data from a member survey to DG Connect, so our booksellers have played an important part in getting across key points of concern to the European Commission - for which we thank them." The European Parliament now has to take the final step of approving the recommended Rules so that they appear on the Statute Book. The rules were agreed earlier this month, the European Parliament, the Council of the European Union and the European Commission reached a political deal on the framework, which is aimed at creating, according to an EU statement, 'a fair, transparent and predictable business environment for businesses and traders when using online platforms. Vice-president for the Digital Single Market Andrus Ansip said: "The agreement marks an important milestone of the Digital Single Market that will benefit millions of European companies relying on digital platforms to reach their customers. Our target is to outlaw some of the most unfair practices and create a benchmark for transparency, at the same time safeguarding the great advantages of online platforms both for consumers and for businesses." Commissioner for Internal Market, Industry, Entrepreneurship, and SMEs, Elżbieta Bieńkowska, said: "Our new rules are especially designed with the millions of SMEs in mind, which constitute the economic backbone of the EU. Many of them do not have the bargaining muscle to enter into a dispute with a big platform, but with these new rules they have a new safety net and will no longer worry about being randomly kicked off a platform, or intransparent ranking in search results." Commissioner for the Digital Economy and Society, Mariya Gabriel, said: "These are the first rules of this kind anywhere in the world, and they strike the right balance between stimulating innovation while protecting our European values. They will improve the relationship between businesses and platforms, making it fairer and more transparent, and ultimately leading to great advantages for the consumers." According to a Eurobarometer survey almost half (42%) of small and medium companies in the EU said they use online marketplaces to sell their products and services. An impact assessment carried out by the Commission ahead of its proposals showed that nearly 50% of European businesses operating on platforms experience problems. Some 38% of problems regarding contractual relations remain unsolved, and 26% are solved but with difficulties; around €1.27-2.35bn is lost directly in sales as a result. 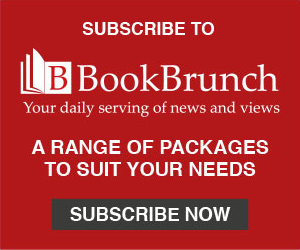 The Society of Authors has welcomed the agreement as "excellent news for all creators and rights-holders" (BookBrunch story).